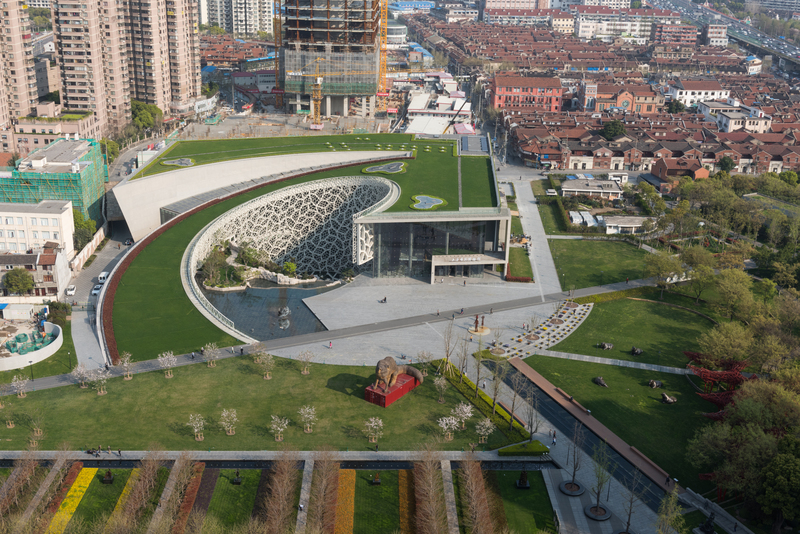 This weekend a Shanghai museum got a new home, and its design takes a major cue from nature. 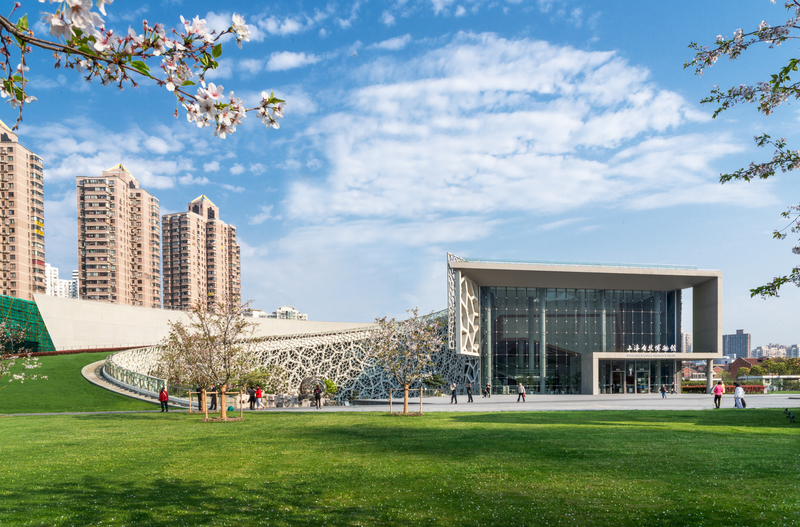 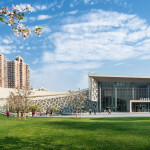 The Shanghai Natural History Museum wraps 479,180 square feet of exhibition space with facades inspired by the elements, natural phenomena, and the biological structure of cells. 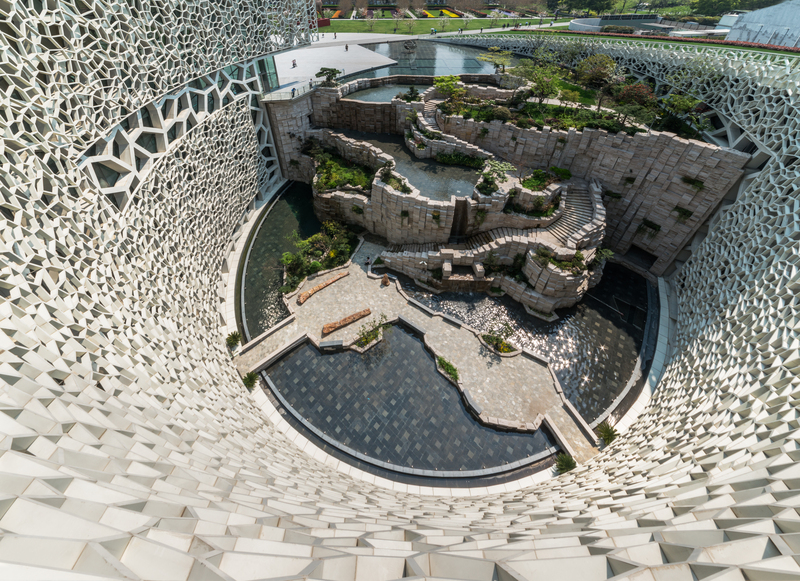 Perkins + Will designed the structure, which expresses architectural themes found in nature. A green roof rises from the site plan, spiraling logarithmically like the shell of a nautilus. 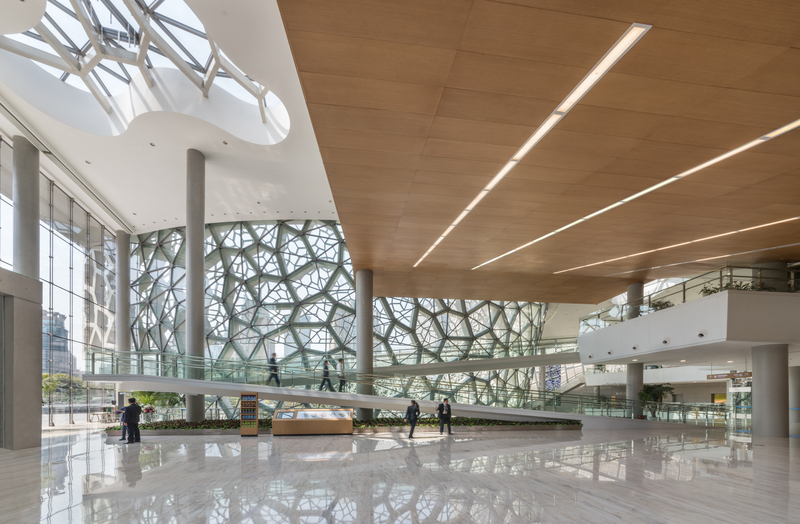 A 100-foot-tall atrium rises within that organizing geometry, transmitting natural light through a craggy lattice that mimics the shape and organization of living cells. 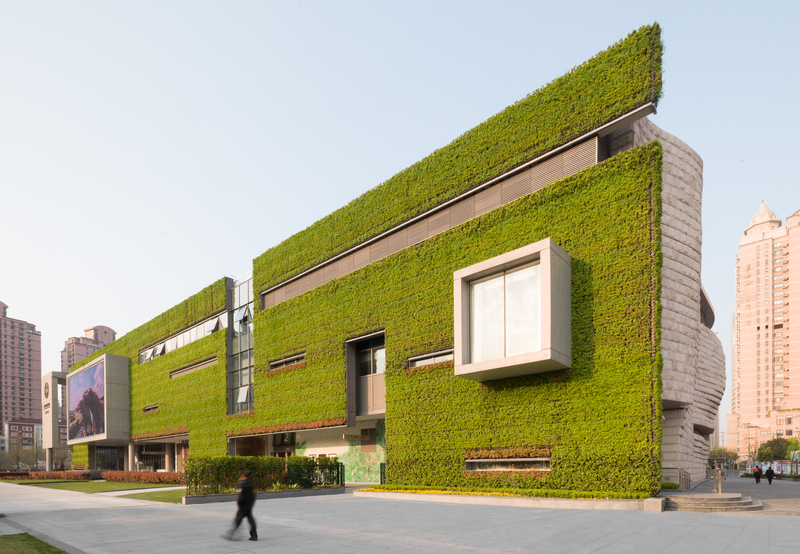 Nature inspired the design of the building’s other facades, too. 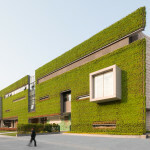 Its eastern face is a living wall, complementing a north-facing facade of stone that the architects said suggests shifting tectonic plates and canyon walls eroded by rivers. 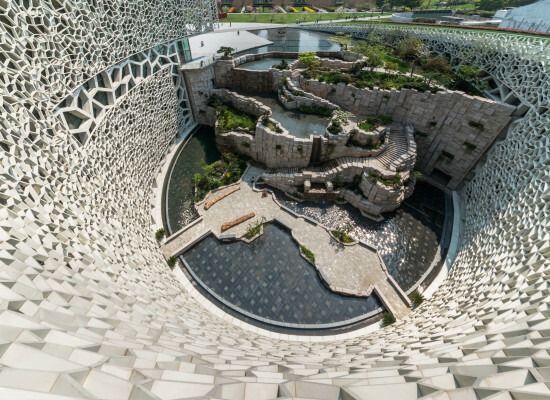 The interaction of natural elements is also meant to invoke traditional Chinese landscape architecture. 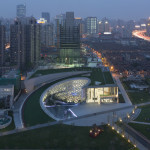 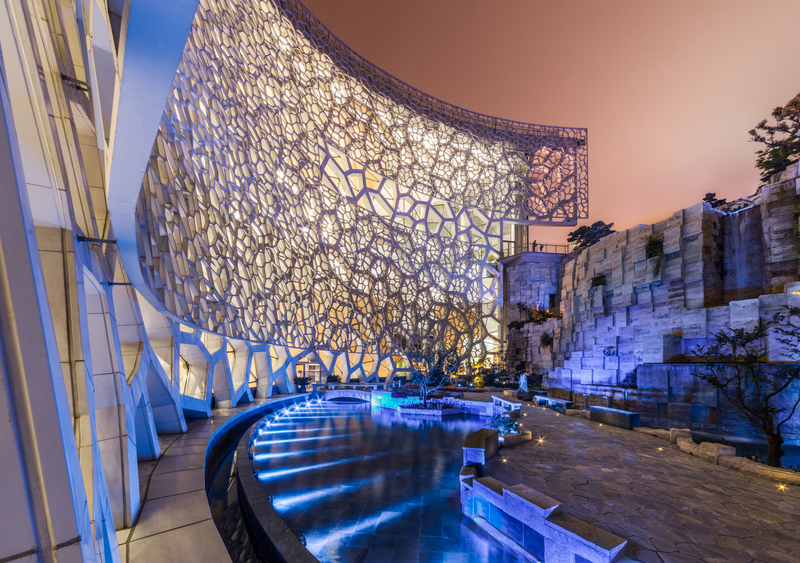 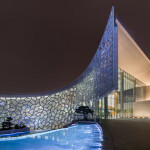 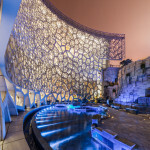 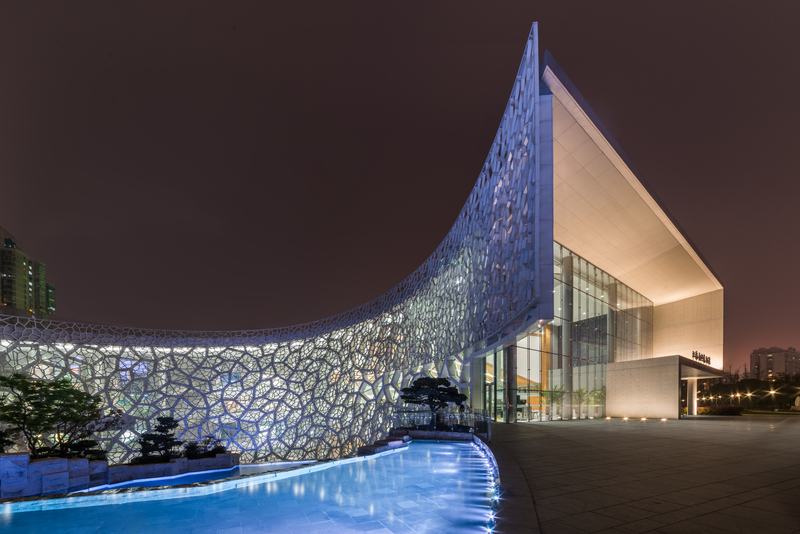 Though it sits within Shanghai’s Jing An Sculpture Park, the building is designed to be more than inhabited art. 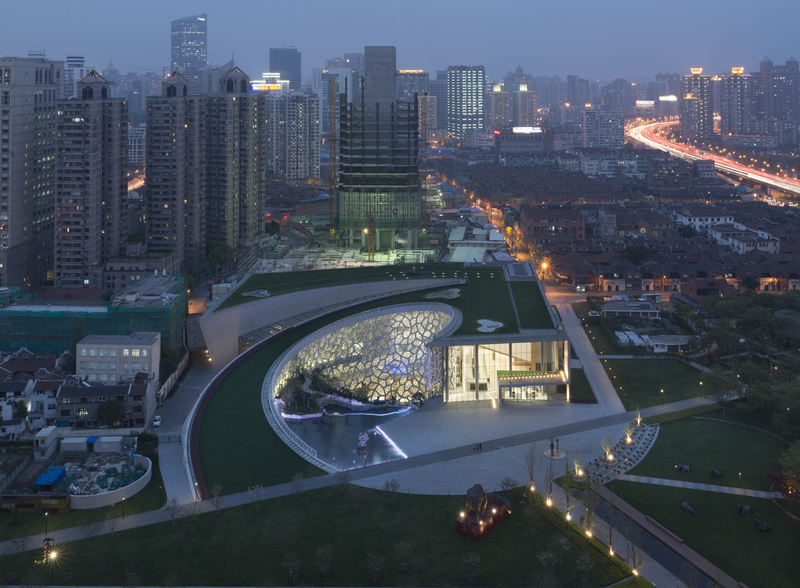 It recycles rainwater through its green roof and minimizes solar gain using an intelligent building skin, while its oval courtyard pond helps cool the building. 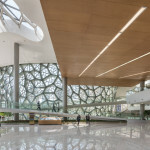 Geothermal energy regulates the building’s temperature. 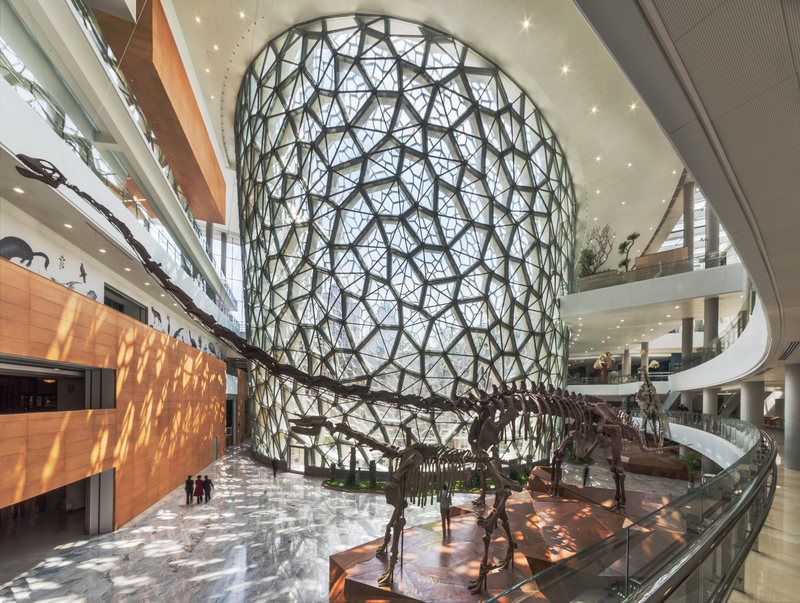 The museum’s collection comprises some 290,000 samples, including a complete, 140-million-year-old skeleton of the dinosaur Mamenchisaurus, and species which cannot be found outside China, such as Yellow River mammoth, giant salamander, giant panda, and Yangtze Alligator. 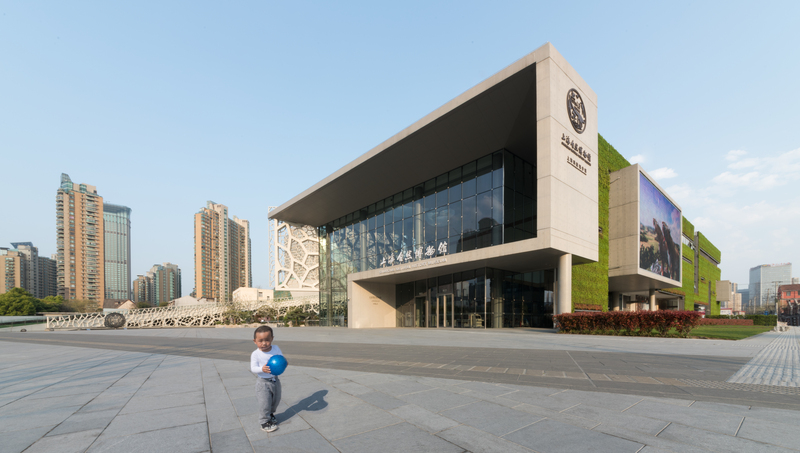 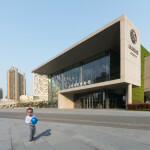 Situated in Shanghai’s Cotton Exchange Building since 1956, the natural history museum leaves its historic home for a building with 20 times the exhibition space and a design that looks forward, as well as back through the eons.